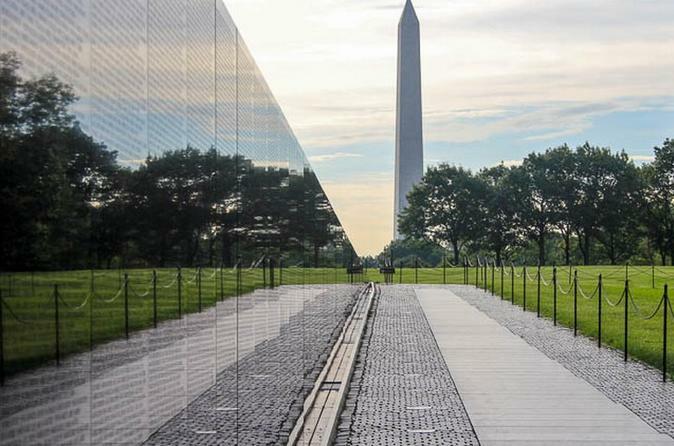 Take the two-hour National Mall Memorials Backstory with Washington Walks and explore the stories of the people, events, and architectural styles that shaped the National Mall's monuments and memorials. This is the classic Washington walk. You’ll get up close to a selection of the city’s famous memorials located on the National Mall. There’s something for everyone–neoclassical architecture, modern sculpture, haunting remembrances of war, historical insights, and even funny tales. Along the way, your guide sets the scene for the Federal City’s original plans to memorialize its national heroes and how they’ve evolved with time. At one time the triumphant general on horseback was the preferred prototype. As the 20th century came to a close, however, new kinds of memorials had begun to appear that honored ordinary soldiers and depicted less glorious aspects of battle. As we approach each site, you’ll hear its particular story, revealing how fraught the memorial-making process can be. National Mall Memorials visits the National World War II Memorial, District War Memorial, Martin Luther King, Jr. Memorial, Vietnam Veterans Memorial, Abraham Lincoln Memorial. The Washington Monument and Thomas Jefferson Memorial are seen and discussed from a distance.